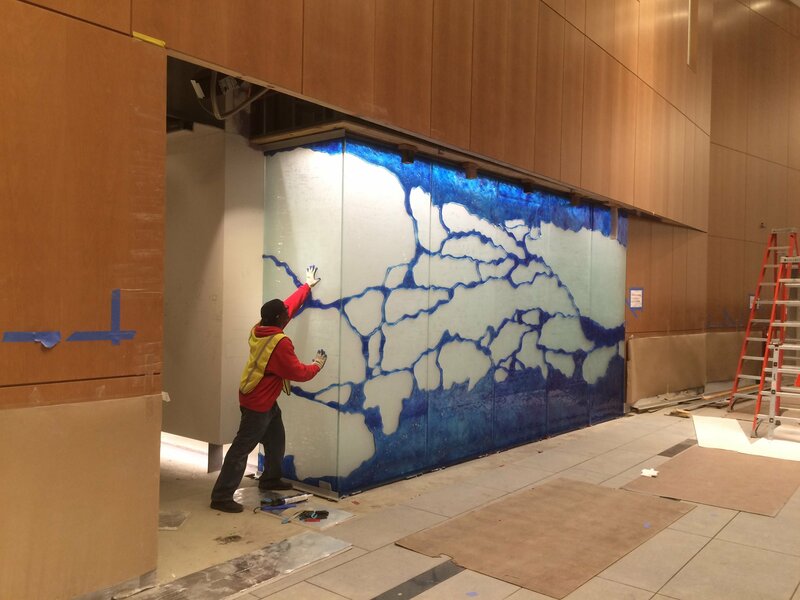 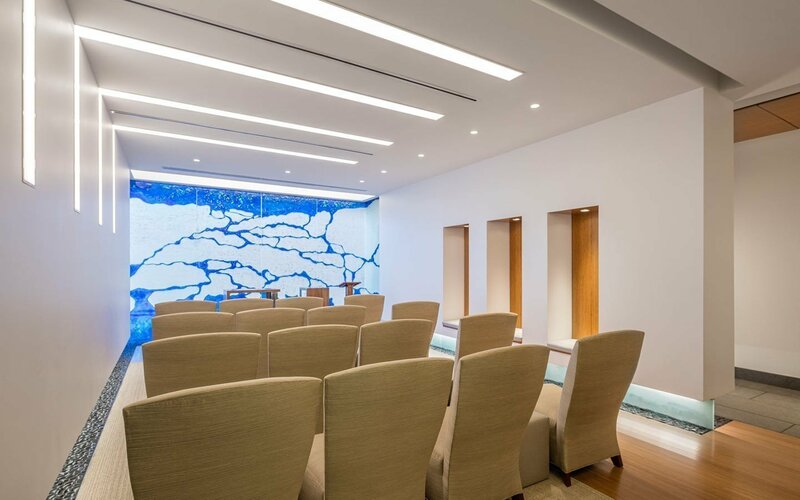 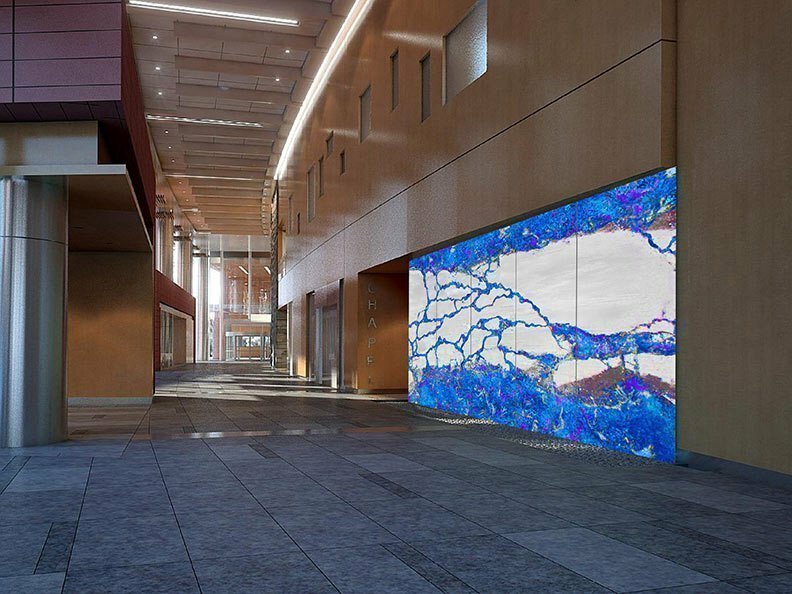 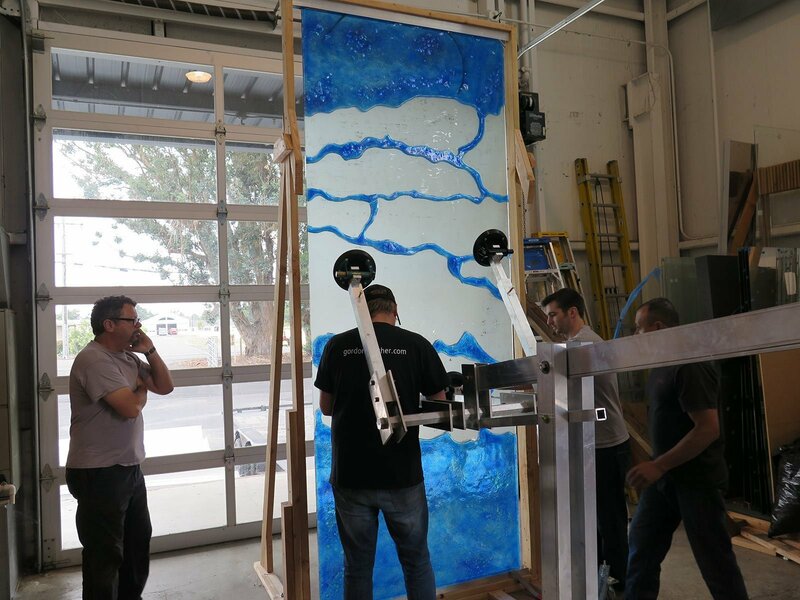 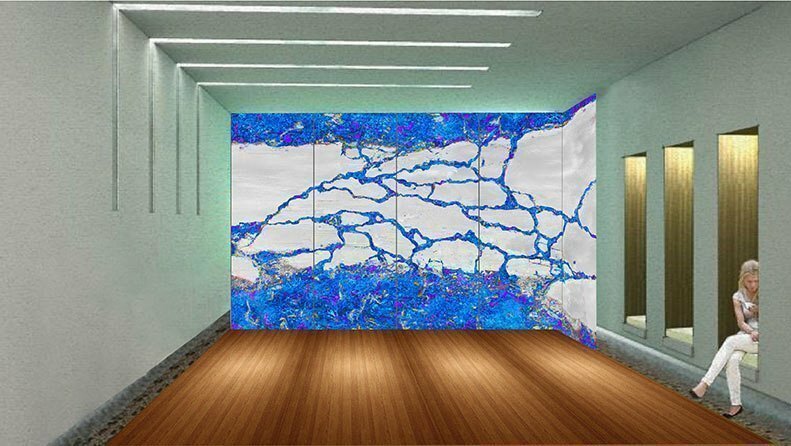 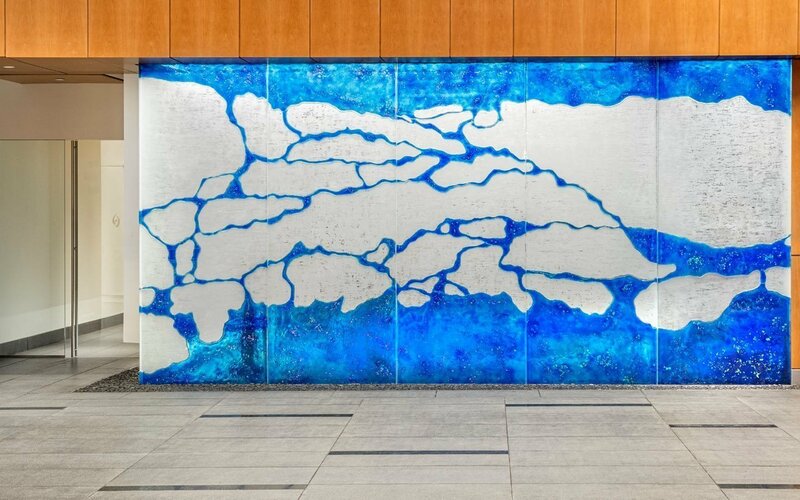 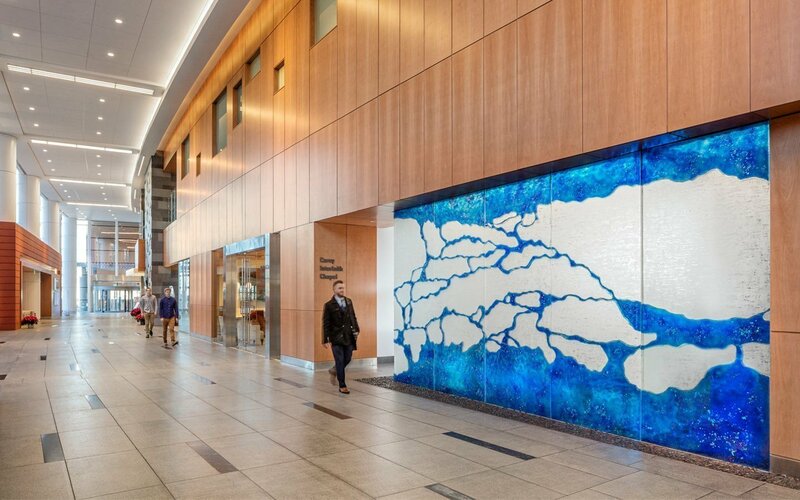 The Stamford Hospital Project team selected artist Gordon Huether to design and create an architectural art glass wall for their new facility’s Chapel. 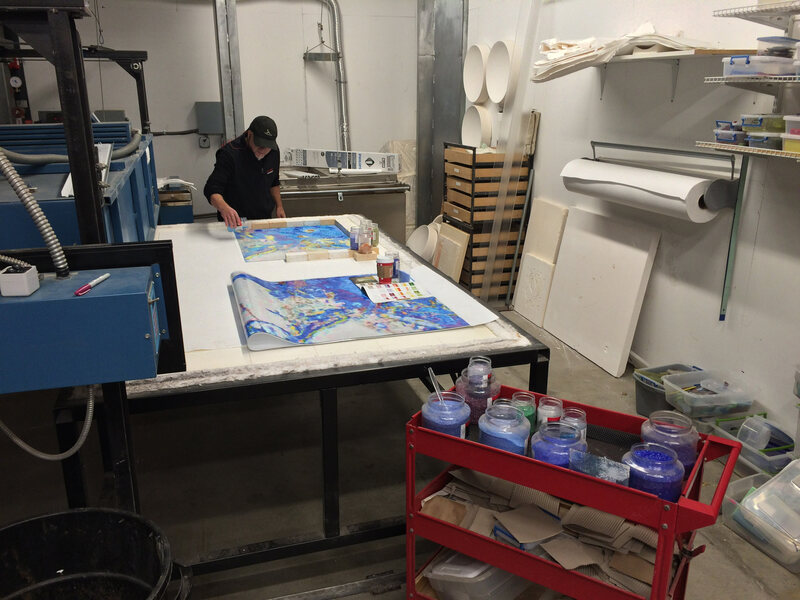 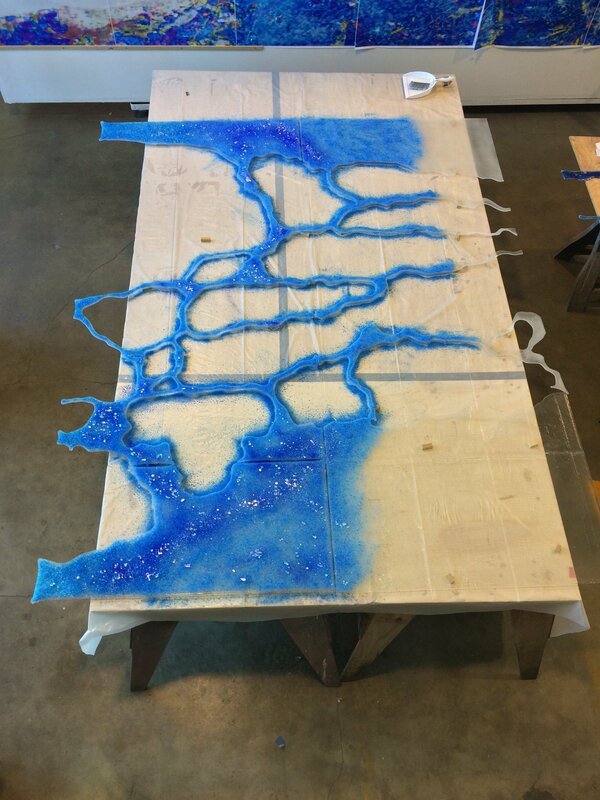 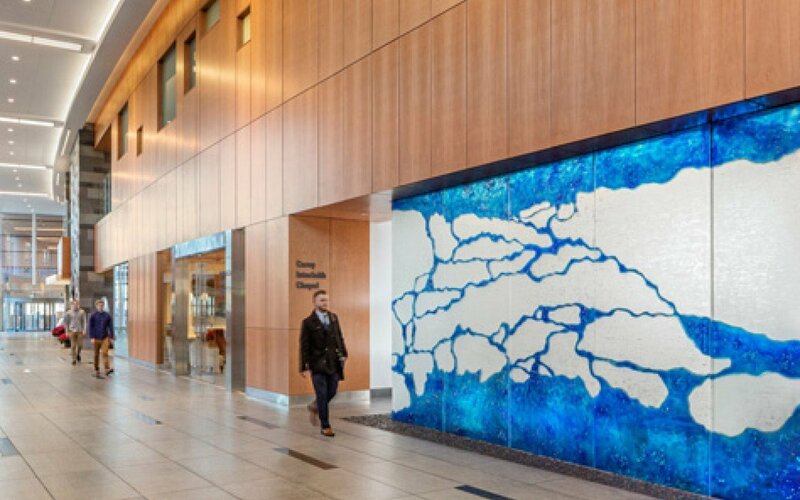 Gordon’s understanding of the Planetree model, his profound experience in the creation of artwork for healthcare environments and his previous art glass work was a key consideration in his selection for this project. 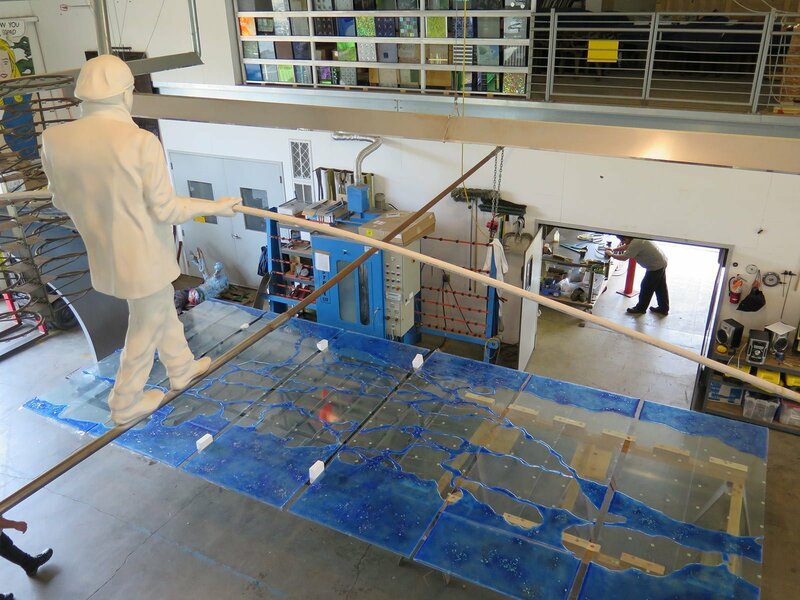 The initial groundbreaking happened on May 14th in 2013. 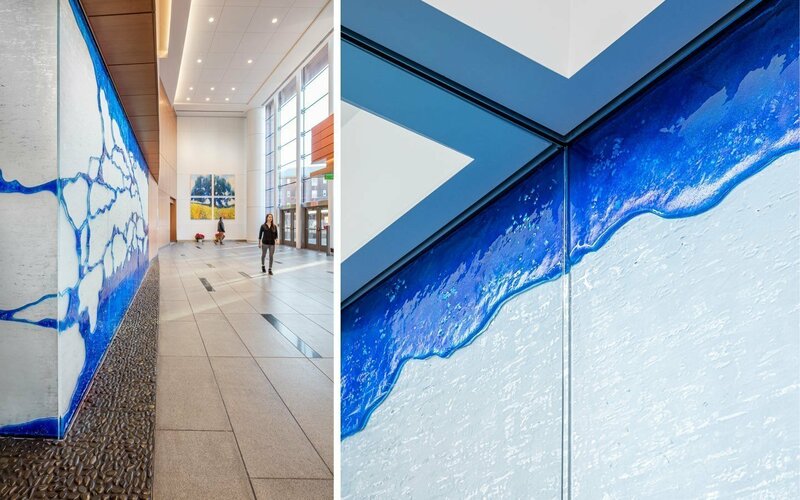 This state-of-the-art LEED certified facility opened its doors September 2016. 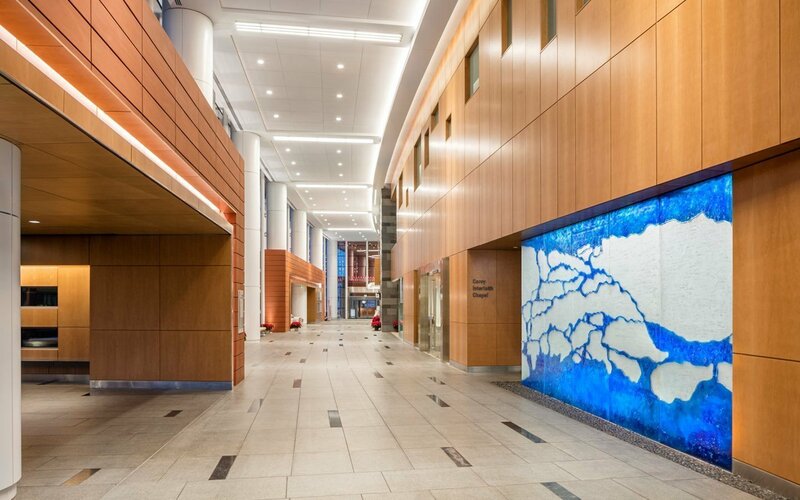 As all other Stamford Hospitals, this hospital implements the Planetree model, focusing on patient centered care. 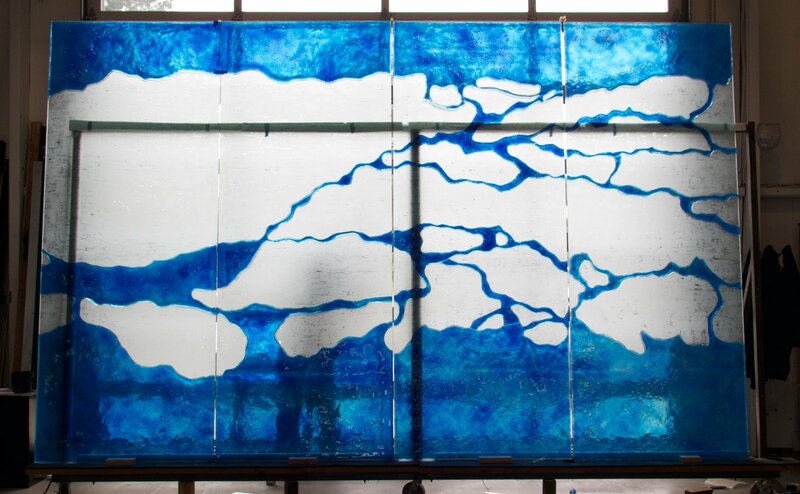 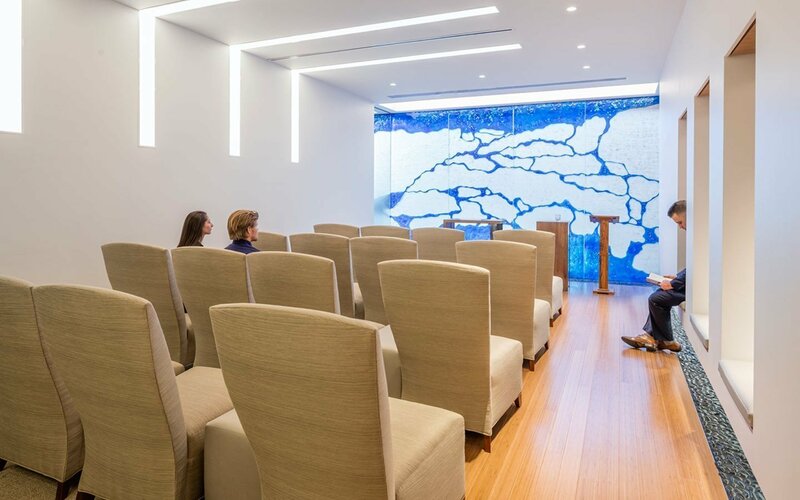 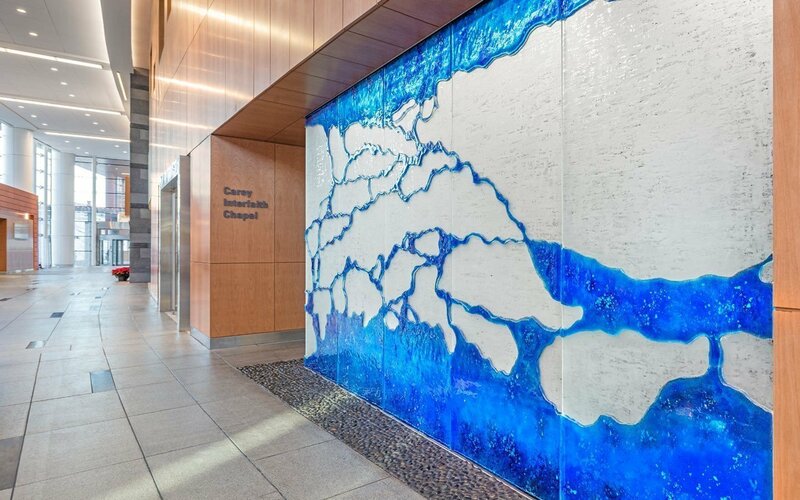 Taking into consideration the patient’s emotional, mental and physical health as a whole, the Planetree approach was instrumental in Huether’s conceptual process for the hospital Chapel art glass wall. 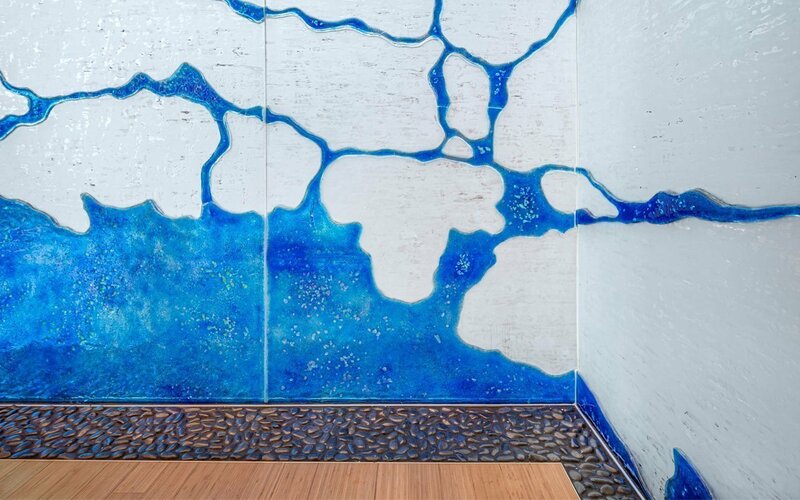 The wall’s design is thoroughly inspired by nature and its effect to soothe the mind and body. 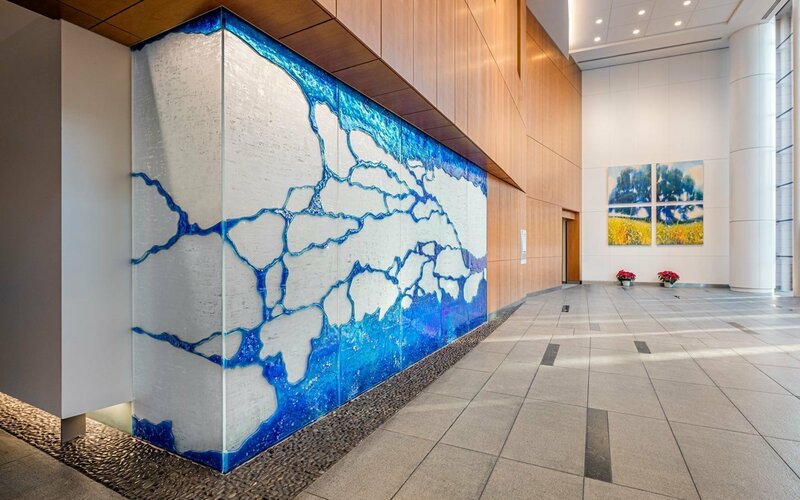 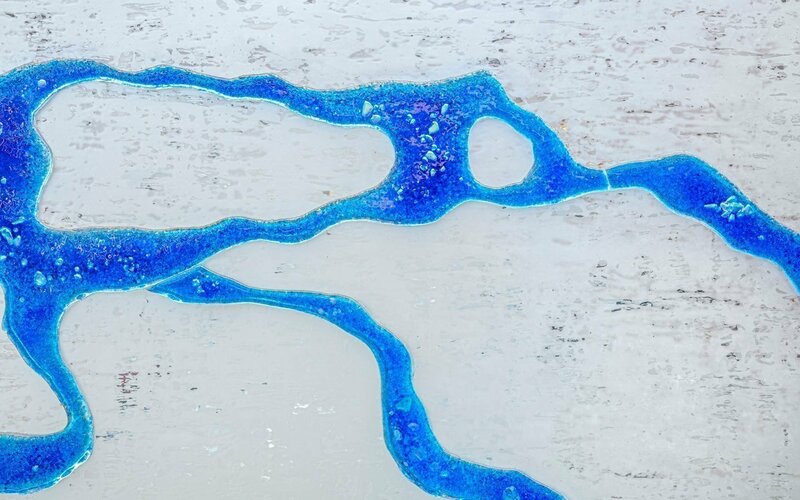 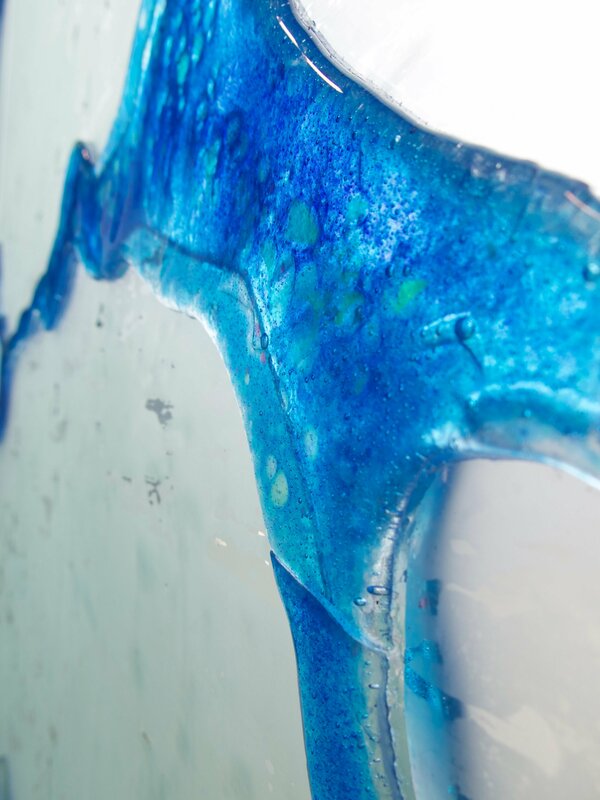 The radiant blue art glass details, reminiscent of gently flowing water in a creek, evoke a sense of peace and calmness and convey an uplifting sense of healing and well-being. 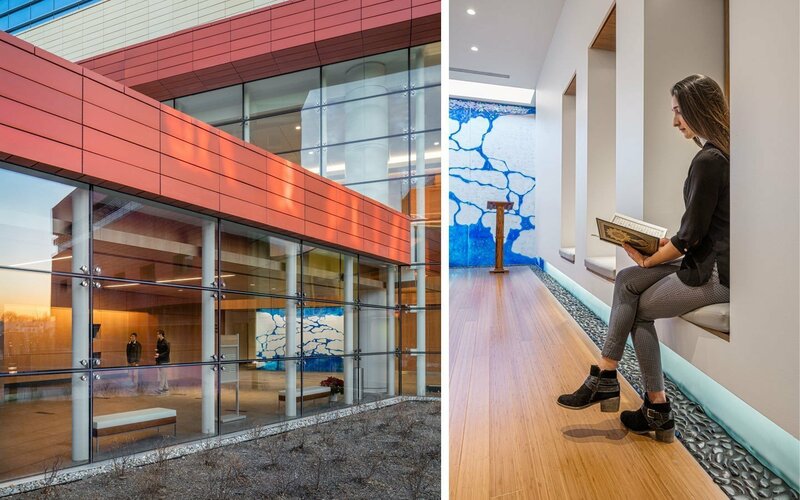 The installation functions as both a focal point for the Chapel space as well as an artistic wall element for the hospital concourse. 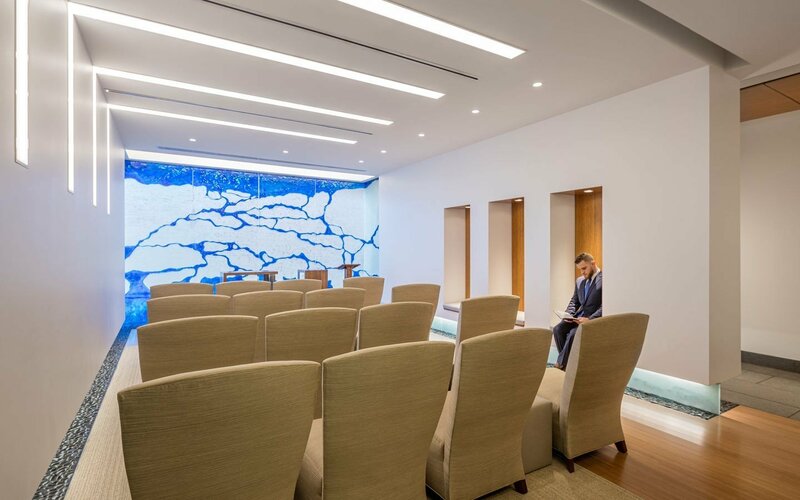 Partially etched glass provides privacy yet allows natural light to enter the meditation space, a fundamental feature to heighten the sense of hope, tranquility and spirituality. 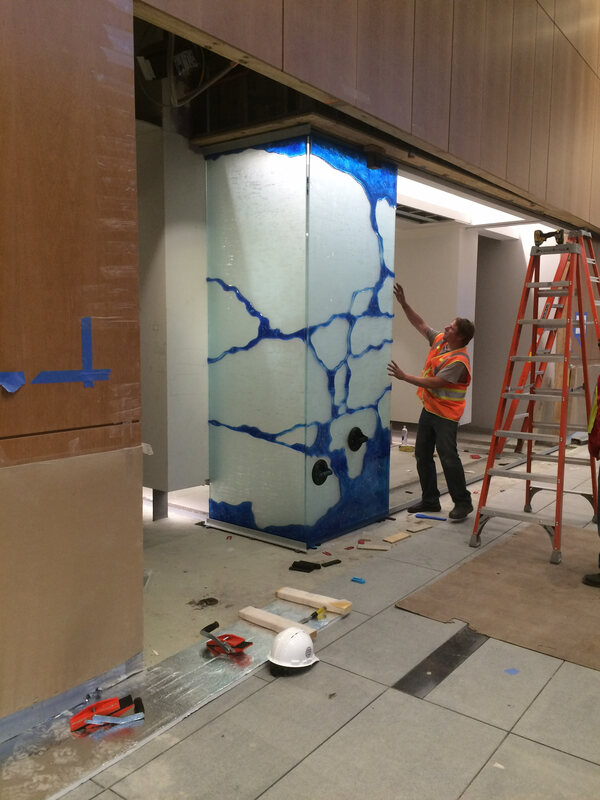 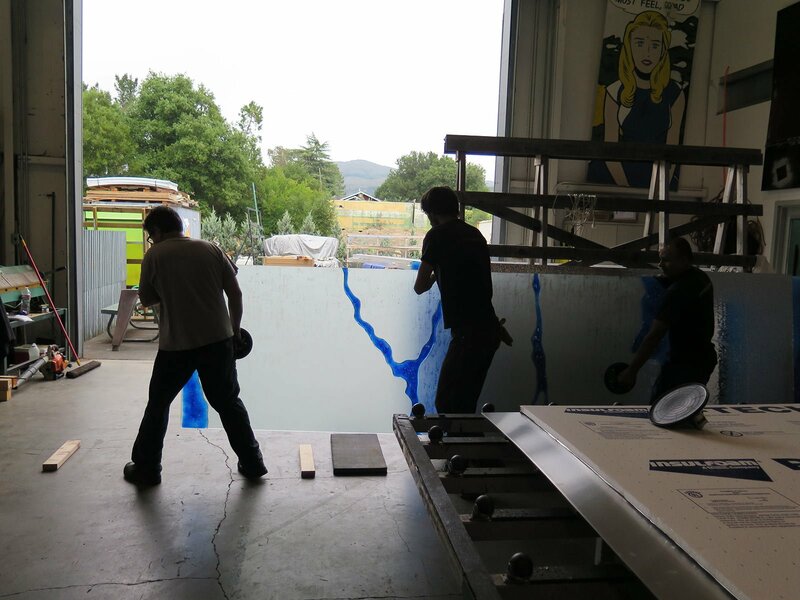 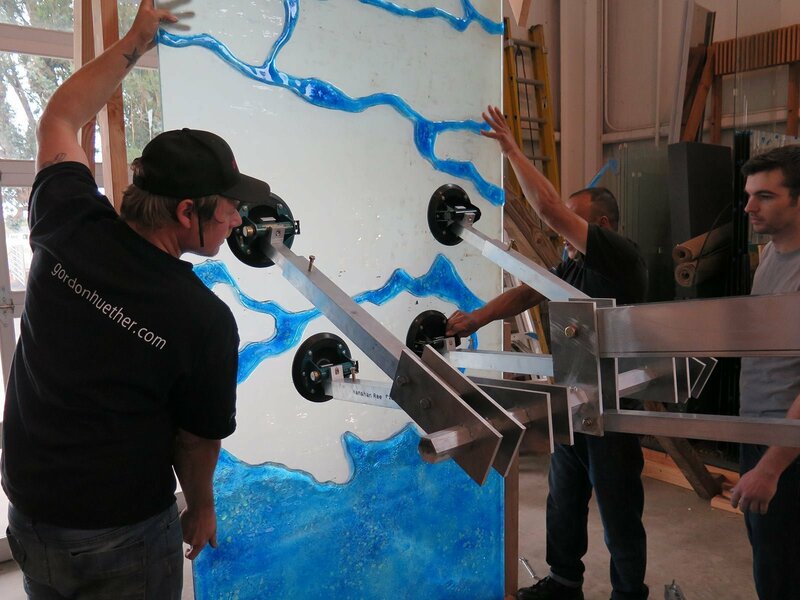 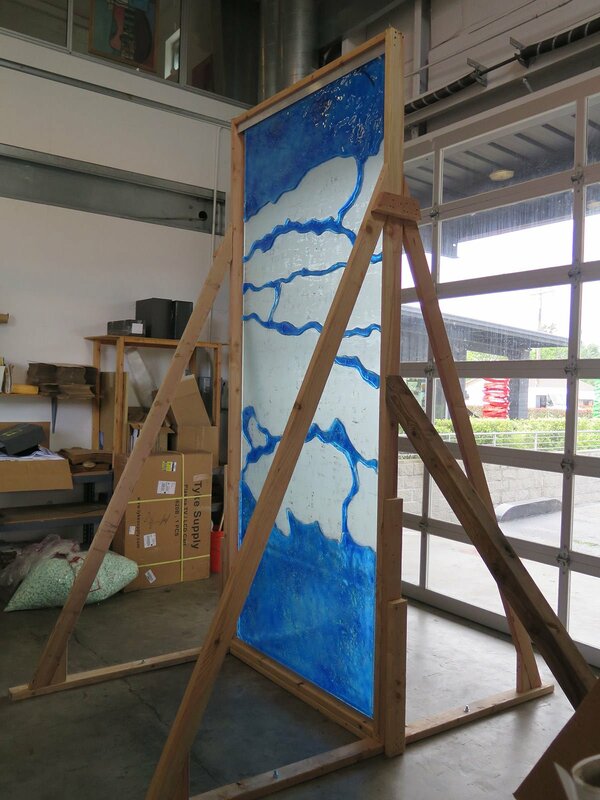 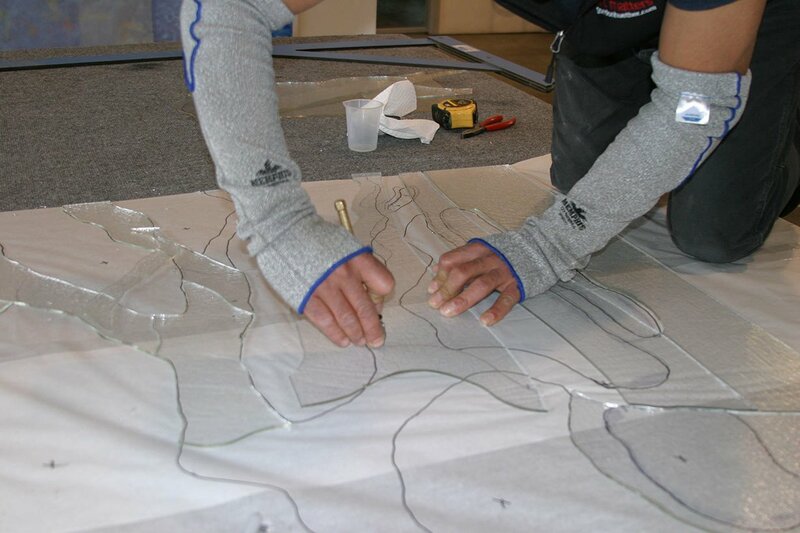 Both sides of this art glass installation have been treated with hand-cut, fused glass elements. 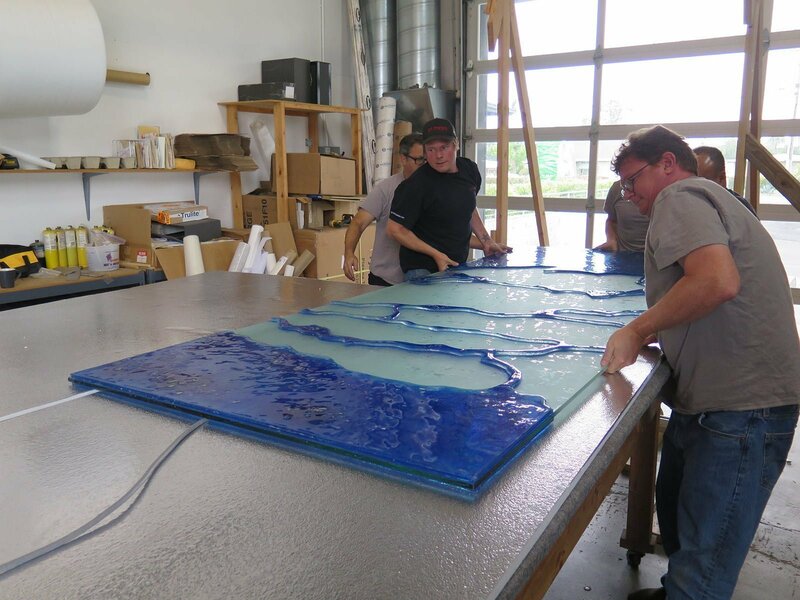 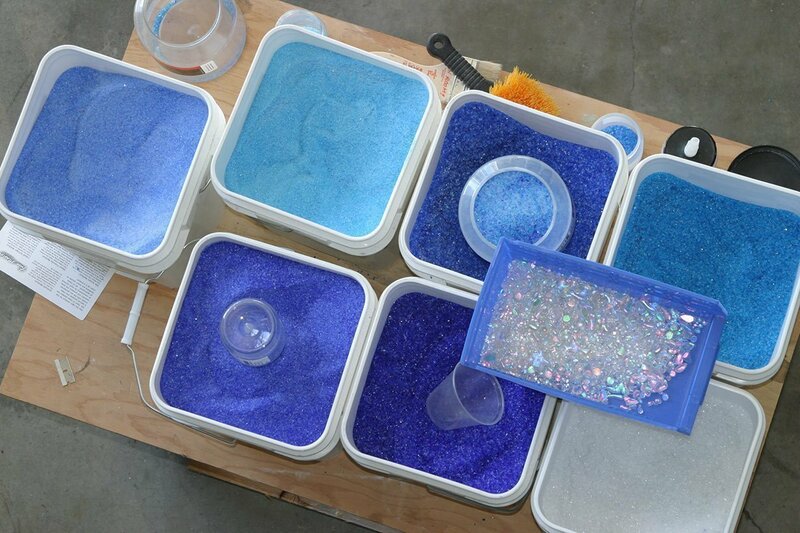 Artisans at Gordon Huether Studio, combined art glass techniques such as laminating, etching and fusing resulting in a powerful art installation that supports the purpose and use of this non-denominational meditation space.